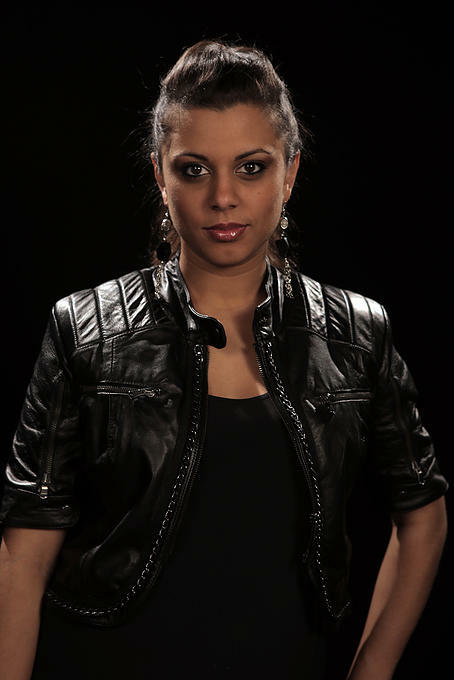 Mélanie René was born on 1st September 1990 in Geneva, Switzerland is of Mauritian origin. After doing some research, she has even discovered that one of her ancestors was an Indian princess who married a French captain. 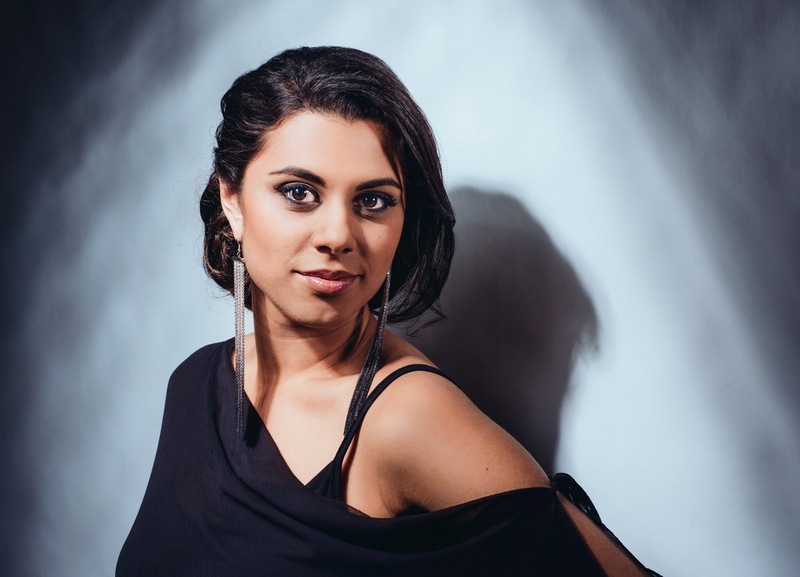 Born into a family of musicians, at a very early age she develops a love for music and takes her first step on stage at the age of 7 for a Mauritian carminative soirée, performing at various private and public functions since. By the time she is 9 years old music has become a real passion to her and she plays the piano by ear composing her first songs. From 2003 to 2009, she joins a music school (Ateliers du Funambule) in Nyon, Switzerland, a school for young artists, songwriters/composers/performers. Whilst there, she takes lessons in singing, dancing, theatre, piano, music theory, as well as harmonisation with Nicolas Hafner. She also takes lessons in creative songwriting with Claude Lemesle, well-known author of popular French songs. In 2008 Mélanie takes part in the International Festival "Le Cerf d'Or" in Brasov, Romania. In the same year she is invited by the Romanian Television to take part in the celebration of the 40th anniversary of the Festival. The show is broadcast live on TVR 1. In February 2009 together with Eliane D'Ambre, she appears on the show "Y'a pas l'feu au lac" on Léman Bleu, Swiss television, where she sings a cover of Charles Aznavour. In May 2009 Mélanie represents Switzerland at the George Gregoriu International Festival in Braila, Romania and wins the 1st Prize singing one of her own songs "Il chante aves les anges". In May 2010 she returns to Braila, Romania, now as the guest of honour and once again performs her song "Il chante avec les anges" and the show is broadcast live on TVR1. Mélanie travels to the UK in September 2010 to study music at the well-known ACM (Academy of Contemporary Music) in Guildford, where she perfects her stage presence as well as her vocal technique and music theory. During this period she also creates a band ('French Konnection', that later became 'The Motherfunkers') and performs in various local pubs. In 2012 she continues her studies at another well-known music school, BIMM (Brighton Institute of Modern Music) in Brighton, UK where she graduates after 2 years with a BA (Hons) degree. With her enthusiasm and talent she joins the band "Project Lumière" and with them performs locally. Mélanie also worked with other bands during this time as a backing vocalist and solo performer at various shows, including charity events. "When I was a teenager, I was very shy and introverted. I was afraid of other people’s judgement. It was during my time in the United Kingdom that I began to develop my self-confidence, to become who I really am"
It was also during this period that she wrote her song "Time to Shine". "I know there are lots of people who go through difficult times, who felt as I did. What I wanted to say to them in ‘Time to Shine’ is that nothing should stop them living their dreams, that we have to be aware of our abilities, to understand that we can overcome the trials we face – and smile at life, once we learn to trust ourselves". 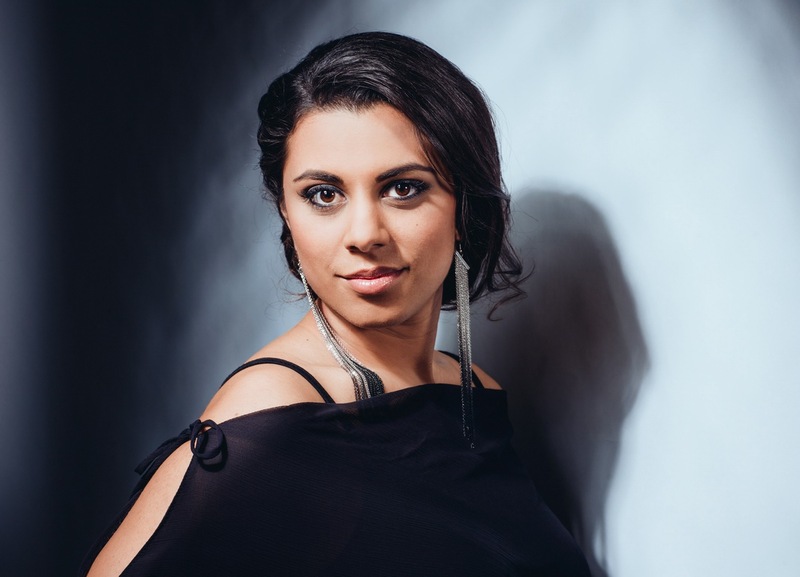 With her song "Time to Shine" Mélanie René is sending out a strong message, in that we all have the inner strength to go wherever we want, to move mountains or change the world if we want to as long as we believe in ourselves and in our capabilities. She is presently working on an EP of her own songs, which she is hoping to release by spring of 2015, as a means of getting herself known to the media and the public. On 31 January Mélanie became winner of the national Swiss Eurovision 2015 preselection topping both televoting and jury vote. The idea to submit an entry for Eurovision came to Eliane D'Ambre (founder of Les Ateliers du Funambule). "Switzerland is very close to my heart: I was born in Geneva, I did my first performance there, and I have grown as an artist in this country. Eurovision is an incredible experience and it can also be a great springboard for any new artist, as there are about 20 mln people watching the show. Represening Switzerland at Eurovision Song Contest is a great honour for me. ", explains singer, who admits "Time to Shine" was inspired by album "Alive" by Jessie J. Unexpectedly, there were plagiarism accusations lead by "Schweiz am Sonntag" newspaper but on 19 February "Time To Shine" was officially cleared, not having any elements same to "Run The World" by Beyoncé. "I'm proud to have written ‘Time to Shine’ and to be able to sing it on stage, to travel, to go and meet people – that really makes me happy. My goal today is to share this happiness, the love that I've been given – and to show people that they can be proud of themselves and of what they have been through, that they have the right to love themselves and to shout it from the rooftops, whatever happens. We must never forget that behind every cloud there is a silver lining, you just need to see it with your heart. That may seem juvenile, but my experience is the same as everybody else's, and I think everyone deserves to live this moment: to shine, and to be proud of what they have achieved. Today these special moments in my life are yours, too: our time has come! Let us share this love, this energy – and let us be proud of what we are!" Based on this sharing principle, Mélanie René invites internet users to post photos and videos of their moments of joy, of love, of pride. They will be relayed to the website timetoshine15.com if shared with hashtag #TimeToShine15 on Instagram. A blend of smiles, positive energy and surprises awaits participants, who will shine alongside Mélanie René on this wonderful adventure. Our next guest is Mélanie René from Switzerland. As usual we start off with asking on her feelings towards participation in the contest. "I still feel like a kid in Disneyland :P I am aware it is a lot of hard work and preparation, but it is a lot of fun as well!" At the Eurovision 2015 Mélanie will perform song "Time to shine". She describes that it is about "realising it is okay to be who you are and not to be afraid to stand up for what you believe in". "Time To Shine" was written about a year ago, when Mélanie was composing for her upcoming EP. "This summer I showed my songs to my manager. She fell in love with this song and she told me we should send it to the Eurovision selections. I trusted her, and we worked on it. I am so glad I did, she helped me realise one of my dreams!". Mélanie defines her aim at the international Eurovision Song Contest as "I would love for people to remember the message and emotion I will have shared with them in my song. For me, music is all about sharing something with the audience, so if I manage to do this I will be happy". There were some changes to the "Time To Shine" brought after national final. "We wanted to make it sound a bit bigger, we worked on the dynamics mainly", Mélanie explains. Singer says there will be changes brought in her performance compared to the national final version as well, and that she will not be alone on the stage. "With the people in the team working with me, we are re-thinking the whole concept, staging and performance. It is a very exciting time! I am also keeping up with my vocal lessons and rehearsals with the rest of the band". 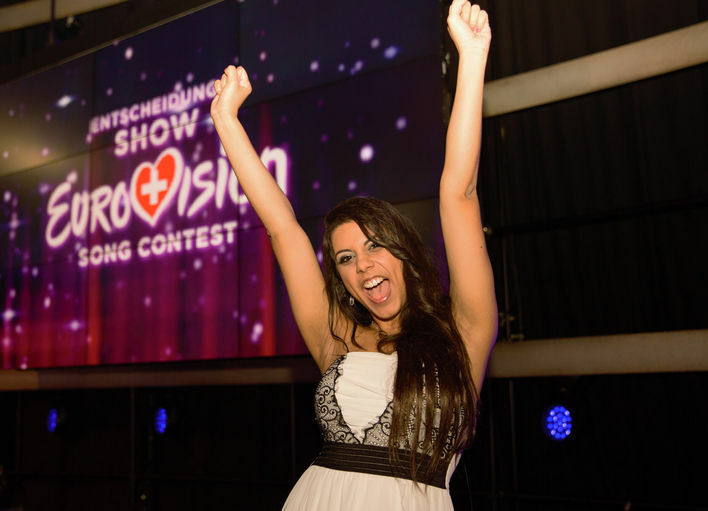 Swiss entrant has already visited Lithuania, Slovenia and attended Eurovision pre-party Riga. 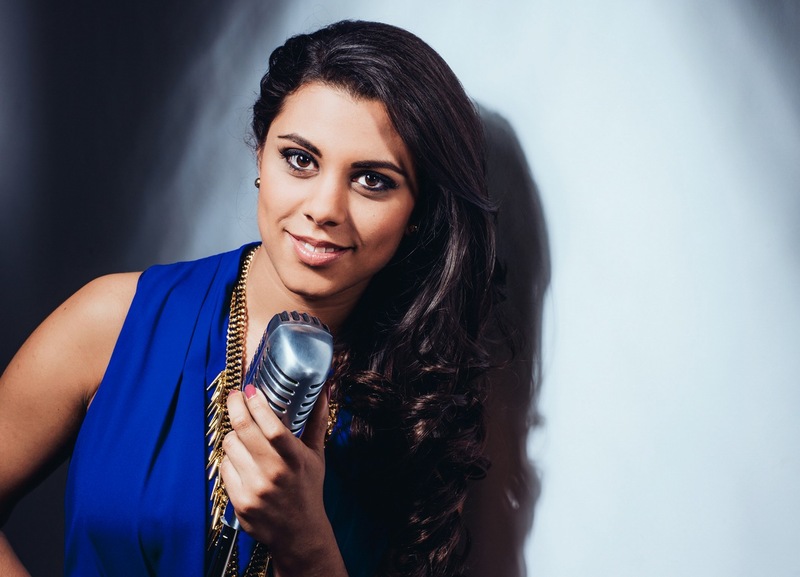 "These have been great experiences and I am looking forward performing at the London Eurovision Party as well! It is a very exciting time! ", she says. 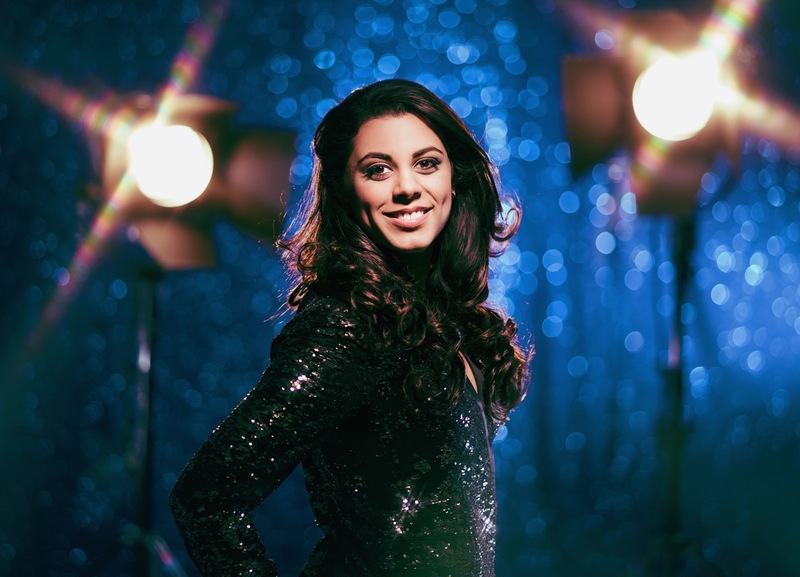 She was not able to attend Eurovision In Concert in Amsterdam, since she has been performing that day on a big TV show "Hello Again" on Swiss TV. Mélanie has already managed to listen to many of the other competing entries. "I can’t pick a favourite! They all have their own style, their own universe, and I personally believe that this is what makes this contest so interesting!" Mélanie already has good experience of taking part in the international competitions. "When I participated in the music festival George Grigoriu in Romania in 2009, I was representing Switzerland as well. I think it helped me with regard to stage presence and having cameras around on stage, but it was a bit different from the Eurovision song contest. Both are great experiences, and I feel lucky to have had the opportunity to participate in both!". Currently she is working on the release of her debut EP which should be out by the end of Spring, material for the future full album to be released after Eurovision, as well as a repertoire for future gigs. "In the bigger picture I would like to be able to make a living out of music", she says. "I would like to thank every single person who has supported and encouraged me since the very beginning, and who still believe in me. You are what keeps me motivated and passionate about what I do! You guys are simply amazing <3 "
You can also read full text of the interview on OGAE Rest of the World Facebook page. On 4 May 2015, the Swiss candidate for Eurovision was the guest of a reception organized in her honor by the Austrian Ambassador in Bern. EBU has released today some photos from postcards of the artists, who have already finished filming 2nd part of their postcard in Austria, where Mélanie René slided into the magical atomic sphere over the ice at the Weissensee in Carinthia. Three filming crews are currently travelling around Europe and Australia to prepare 40 different postcards which will introduce each song during the show. Every postcard will be 40 seconds long. The first part of the postcard is filmed on home soil and is 15 seconds long and the second part is filmed in Austria and is 25 seconds long. In the first part of every postcard we see the artist/s receiving a parcel by post in their home country. In each parcel there is a surprise which shows the activity that the artist/s will carry out once in Austria to film the second part of the postcard. The Austrian film crew has arrived to Geneva, to film the first part of the Eurovision postcard with Mélanie René. 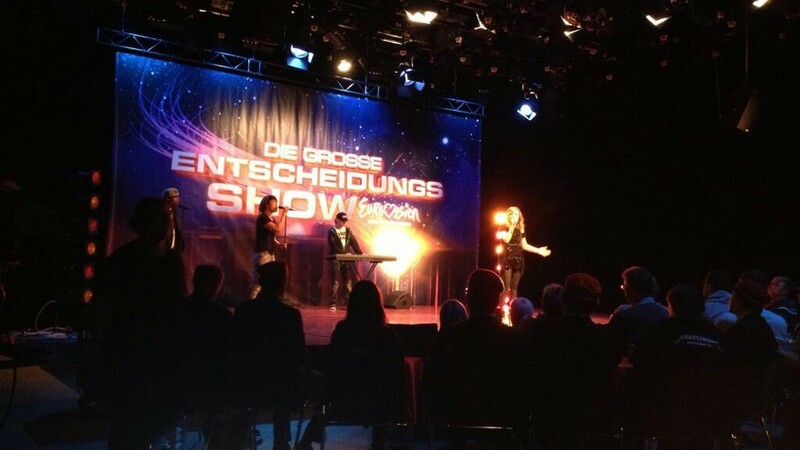 5th edition of "Entscheidungsshow" will select Switzerland's entry for the Eurovision Song Contest 2015. Final show will take place on 31 January 2015 at the Bodensee Arena in Kreuzlingen, hosted by Sven Epiney. The national final is a collaboration between 4 broadcasters in Switzerland: the Swiss-German broadcaster Schweizer Radio und Fernsehen (SRF), the Swiss-French broadcaster Radio Télévision Suisse (RTS), the Swiss-Italian broadcaster Radiotelevisione svizzera (RSI) and the Swiss-Romansh broadcaster Radiotelevisiun Svizra Rumantscha (RTR). The first stage of the competition included SRF/RTR, RTS and RSI each conducting own preselections in order to determine the candidates to submit for the second stage of the competition. SRF/RTR submitted 9 candidates selected through a online internet voting platform. Submission period run from 29 September to 27 October 2014 with 210 entries received. Internet voting run from 3 to 17 November. Internet votes were combined with the votes from a professional jury and on 25 November 2014, the top 9 entries were announced. FRANCK RENAND (France) - That's Enough! Michael James (Spain) - Boom! Sacred Cow - Are You Happy? RTS submitted 6 candidates selected by the professional jury that consisted of Catherine Colombara, Laurent Pavia, Emile Felber, and Nicolas Tanner during live audions at studio 15 of Radio à Lausanne on 23 November 2014. Submission period for the show run from 9 September to 27 October and 26 entries were received. 10 of them were invited to be performed at the auditions. RSI submitted 3 candidate selected internally. Submission period run from 16 July to 15 October 2015 with 28 entries received. On 4 November 2014, a professional jury consisting of 2008 Swiss contest entrant Paolo Meneguzzi, Iris Moné and Simone Tomassini evaluated submissions and chose 3 RSI entries. Мелани Рене родилась 1го сентября 1990 года в Женеве, Швейцария. У Мелани - маврикийские корни, а после небольшого расследования, она узнала даже, что одним из ее предков был французский капитан, женившийся на индийской принцессе. Она родилась в семье музыкантов, потому с раннего детства развила любовь к музыке. Свои первые шаги на сцене она сделала в 7 лет, выступая на маврикийском вечере, и после этого часто пела на различных семейных и общественных торжествах. К 9 годам она поняла, что музыка становится ее настоящей страстью и начинает, играя на фортепиано, на слух, сочинять свои первые композиции. С 2003 по 2009 год Мелани посещает музыкальную школу (Ateliers du Funambule) для начинающих исполнителей и авторов песен в Ньоне, Швейцария. Там она занимается вокалом, танцами, театральным мастерством, игрой на фортепиано, теорией музыки, а также гармонией с педагогом Николасом Хафнером. Она берет уроки творческого написания песен у Клода Лемесле, известного французского композитора. В 2008 году Мелани принимает участие в международном фестивале "Le Cerf d'Or", который проходил в Брашове, Румыния. В том же году телевидение Румынии приглашает ее выступить на 40-летнем юбилее фестиваля. Концерт транслируется в прямом эфире телеканала TVR 1. В феврале 2009 года вместе с Элианой Д'Амбре она принимает участие в телепрограмме "Y'a pas l'feu au lac" на региональном швейцарском телеканале Léman Bleu, где исполняет песню Шарля Азнавура. В мае 2009 года Мелани представляет Швейцарию на международном фестивале им. Георге Грегориу в румынском городе Брэила, где завоевывает 1е место за исполнение одной из собственных песен "Il chante aves les anges". В мае 2010 она возвращается в Брэилу, в качестве почетного гостя фестиваля, где вновь исполняет "Il chante avec les anges", концерт транслируется в прямом эфире на телеканале TVR 1. В 2010 году Мелани решает перебраться в Великобританию, чтобы продолжить получение музыкального образования в ACM (Академии современной музыки) в Гилфорде, где работает над своим сценическим имиджем, вокальной техникой и изучает теорию музыки. В это же время она собирается собственную музыкальную группу ('French Konnection', позднее переименованную в 'The Motherfunkers'), с которой выступает в местных пабах. В 2012 году Мелани продолжает образование еще в одной известной музыкальной школе BIMM (Брайтонский Институт Современной Музыки), которую завершает с отличием спустя два года получив звание бакалавриата. С большим энтузиазмом она присоединяется к группе "Project Lumière" и выступает с ней на местном уровне. Мелани также работает в это время с другими проектами, как в качестве солистки, так и бэк-вокалистки, на различных шоу, включая благотворительные мероприятия. "Когда я была подростком, я была очень стеснительной и замкнутой. Я боялась оценки других людей. Именно в Великобритании ко мне стала приходить моя уверенность в себе, я стала становиться той, кем я являюся на самом деле"
Именно в этот период она написала песню "Time To Shine". "Я знаю, что в мире есть множество людей, которые проходят сквозь сложности, которые переживают то же, что и я. Я хотела сказать им в своей песне "Time To Shine", что ничто не может остановить их мечты, мы должны сами знать свои возможности, понять, что мы можем преодолеть все препятствия, что возникают на нашем пути - и улыбаться по жизни, когда мы научимся верить в самих себя". Со своей песней "Time To Shine" Мелани Рене посылает сильный месседж, что у всех нас есть внутренняя сила делать все, что мы хотим, передвигать горы или изменить мир, если нам этого хочется, когда мы верим в себя и свои способности. В настоящее время Мелани работает над EP диском своих собственных песен, которых хотела бы выпустить весной 2015 года, чтобы СМИ и публика смогли познакомиться поближе с ее творчеством. 31го января Мелани стала победительницей национального швейцарского отбора на Евровидении, заняв первое место как в голосовании телезрителей, так и профессионального жюри. Идея принять участие в Евровидении пришла к Элиане Д'Амбре (основательнице школы Les Ateliers du Funambule). "Швейцария очень близка моему сердцу: я родилась в Женеве, я там дала свое первое выступление, как певица я выросла в этой стране. Евровидение - это невероятный опыт, и также может стать отличной стартовой площадкой для молодого артиста, поскольку за ним следят около 20 миллионов зрителей по всему миру. Представлять Швейцарию на Евровидении - большой опыт для меня. ", объясняет певица, которая признает, что ее песня "Time to Shine" была вдохновлена альбомом "Alive" Джесси Джей. Неожиданно, c подачи газеты "Schweiz am Sonntag" певицу обвинили в плагиате, но 19 февраля было официально решено, что "Time To Shine" не содержит в себе каких-либо элементов песни "Run The World" Бейонсе. "Я горжусь тем, что я написала ‘Time to Shine’ и могу исполнять ее со сцены, ездить по миру, встречаться с людьми - это делает меня счастливой. Моя цель сегодня - разделить это счастье, ту любовь, что дали мне - и показать людям, что они могут гордиться сами собой и тем, сквозь что они прошли, что у них есть право любить самих себя, и кричать об этом с крыши, что бы ни просходило. Мы должны никогда не забывать, что у каждой тучки есть светлая подкладка, нужно только увидеть ее своим сердцем. Это может показаться подростковым мышлением, но мой опыт в этом точно такой же, как и у всех других людей, и я думаю, что каждый заслуживает права проживать этот момент: сиять, и гордиться тем, чего они достигли. Сегодня эти особые моменты в моей жизни также и ваши: наше время пришло! Давайте делиться этой любовью, этой энергией - и гордиться тем, кто мы есть!" Основываясья на этом принципе - делиться с другими - Мелани приглашает интернет пользователей публиковать свои фотографии и видео с моментами радости, любви, гордости. Если их публиковать с хештегом в инстаграме #TimeToShine15, то они будут собираться на специальном вебсайтеtimetoshine15.com. Улыбки, позитивная энергия и сюрпризы ждут тех, кто вместе с Мелани Рене примет участие в этом потрясающем приключении. Наша следующая гостья - представительница Швейцарии Мелани Рене. Как обычно, мы начинаем наше интервью с вопроса о том, какие чувства она испытывает к своему участию в Евровидении. "Я ощущаю себя, как ребенок, попавший в Диснейленд! :P Я понимаю, что участие в Евровидение - это большая работа надо подготовкой, но в то же время это ведь и очень весело!" На конкурсе Евровидение 2015 Мелани споет песню "Time to shine". Месседж композиции она объясняет следующим образом: "Это - песня о понимании того, что нормально быть тем, кем ты являешься, и не бояться выступать за то, во что ты веришь". "Time To Shine" была написана свыше года назад, когда Мелани писала песни для своей предстоящей пластинки. "Этим летом, я показала песни своему продюсеру. Ей очень понравилась эта композиция, и она предложила мне отправить ее на отбор на Евровидение. Я доверилась ей, и мы стали работать. Сейчас я очень рада, что все так произошло, она помогла мне реализовать одно из моих самых главных желаний!". Мелани определяет свою цель на международном конкурсе как "Я очень хотела бы, чтобы зрители запомнили месседж и те эмоции, которыми я делюсь с ними в своей песне. Для меня - цель музыки в том, чтобы делиться чем-то со зрителями, поэтому я счастлива, если мне удается сделать это". В песню "Time To Shine" после национального отбора были внесены небольшие изменения. "Мы хотели, чтобы она прозвучала раньше, в основном мы работали над динамикой", объясняет Мелани. Певица говорит, что и в номере по сравнению с национальным отбором также произойдут изменения, и что она не будет на сцене в одиночестве. "Вместе с той командой, что работает со мной, мы переосмыслили всю концепцию, исполнение и постановку номера. Все очень интересно! Я также продолжаю усиленно заниматься вокалом и репетировать с другими членами группы". Представительница Швейцарии уже посетила Литву, Словению и вечеринку Евровидения в Риге. "Это был замечательный опыт, и я с нетерпением теперь жду возможности выступить на Лондонской вечеринке Евровидения! ", говорит она. Мелани не смогла принять участие в Eurovision In Concert в Амстердаме, поскольку в этот день выступала на крупном телевизионном шоу "Hello Again" на швейцарском телевидении. У певицы уже была возможность прослушать большую часть песен других стран. "Но я не могу выбрать фаворита! У всех свой стиль, своя вселенная. и мне кажется, что это разнообразие - это именно то, что делает конкурс столь интересным!" Мелани уже имеет хороший опыт участия в международных конкурсах. "Когда я принимала участие в музыкальном фестивале им. Георгия Григориу в Румынии в 2009 году, я также представляла там Швейцарию. Я думаю, что это помогло мне научиться держаться на сцене, работать с камерами, но в то же время этот опыт сильно отличается от конкурса Евровидение. Оба - просто потрясающие, и мне очень повезло выступить на этих двух конкурсах!". В настоящее время она работает над выпуском своего дебютного EP, который должен выйти в конце весны, также записывает материал для полноценного альбома, который выйдет уже после Евровидения, и нарабатывает репертуар для предстоящих концертов. "Если брать картину более широко, то я хотела бы зарабатывать музыкой на жизнь", говорит певица. "Я хотела бы поблагодарить всех тех, кто поддерживал и вдохновлял меня с самого начала, и тех, кто до сих пор верит в меня. Вы - именно то, что поддерживает мою мотивацию и настрой к тому, чем я занимаюсь! Вы все просто потрясающие <3 "
С полным текстом интервью (на английском языке) вы можете познакомиться на странице ОГАЕ Остальной мир в Facebook. 4го мая представительница Швейцарии на Евровидении этого года, стала гостьей приема, организованного в ее честь послом Австрии в Берне. ЕВС опубликовал сегодня некоторые фотографии с визиток артистов, которые завершили уже съемки 2й части своей открытки в Австрии, где Мелани Рене попала в волшебную атмосферу на льду в Вайсензе в Каринтии. Три съемочные группы в настоящее время путешествуют по всей Европе, чтобы подготовить 40 различных посткардов, которые будут представлять каждую из участвующих песен во время шоу. Длина каждой открытки составляет 40 секунд. Первая часть открытки снимается непосредственно в странах-участницах, и длится 15 секунд - вторая снимается в Австрии и длится 25 секунд. В первой части каждой открытки артист(-ы) получают бандероль с сюрпризом. Он является ключом к тому, чем придется артистам заняться в Австрии во время съемок второй части визиток. Кадры со съемки видеоклипа Мелани Рене. Австрийская телевизионная команда прибыла в Женеву для съемок первой части открытки Мелани Рене для Евровидения. 5й выпуск шоу "Entscheidungsshow" вновь будет призван выбрать представителя Швейцарии на конкурс Евровидение 2015. Финал шоу пройдет 31го января 2015 года в Bodense Arena в Крейцлингене, его ведущим станет Свен Епини. Национальный отбор в Швейцарии проводится в сотрудничестве четырех национальных вещателей: немецкоязычного Schweizer Radio und Fernsehen (SRF), французскоязычного Radio Télévision Suisse (RTS), итальянскоязычного Radiotelevisione svizzera (RSI) и романшскоязычного Radiotelevisiun Svizra Rumantscha (RTR). Первая стадия отбора включала предотборы, проводимые независимо SRF/RTR, RTS и RSI, где определялись кандидаты на участие во второй стадии процесса. SRF/RTR заявило девять кандидатов, выбранных посредством голосования на интернет платформе. Период приема заявок на участие в конкурсе продлился с 29 сентября по 27 октября 2014 года, всего было получено210 заявок. Интернет голосование продлилось с 3 по 17 ноября. Результаты интернет голосования в итоге были суммированы с голосами экспертного жюри, и 9 победителей предотбора были объявлены 25 ноября 2014 года. FRANCK RENAND (Франция) - That's Enough! Michael James (Испания) - Boom! Телекомпания RTS заявила шесть кандидатов. Их выбрало профессиональное жюри, в которое вошли Катерин Коломбара, Лоран Павиа, Эмиль Фелбер и Николя Танне, во время живого прослушивания, прошедшего в студии 15 Радио Лозанны 23 ноября 2014 года. Период приема заявок на шоу продлился с 9 сентября по 27 октября и всего было получено 26 заявок. 10 артистов были приглашены выступить на прослушиваниях и шесть лучших из них прошли в следующую стадию национального отбора. Телекомпания RSI номинировала трех кандидатов, выбранных внутренним отбором. Прием заявок продлился с 16 июля по 15 октября и всего было получено 28 заявок, однако, их полный список не был опубликован. 4го ноября, профессиональное жюри, в состав которого вошли представитель Швейцарии на Евровидении 2008 Паоло Менегуцци, Ирис Моне и Симоне Томассини оценили поступившие заявки и выбрали 3 лучшие из них. Copyright © 2001-2019 ESCKAZ by Andy Mikheev - Eurovision Knowledge from A to Z. Created by Rusign Internet Atelier, 2013-2019.